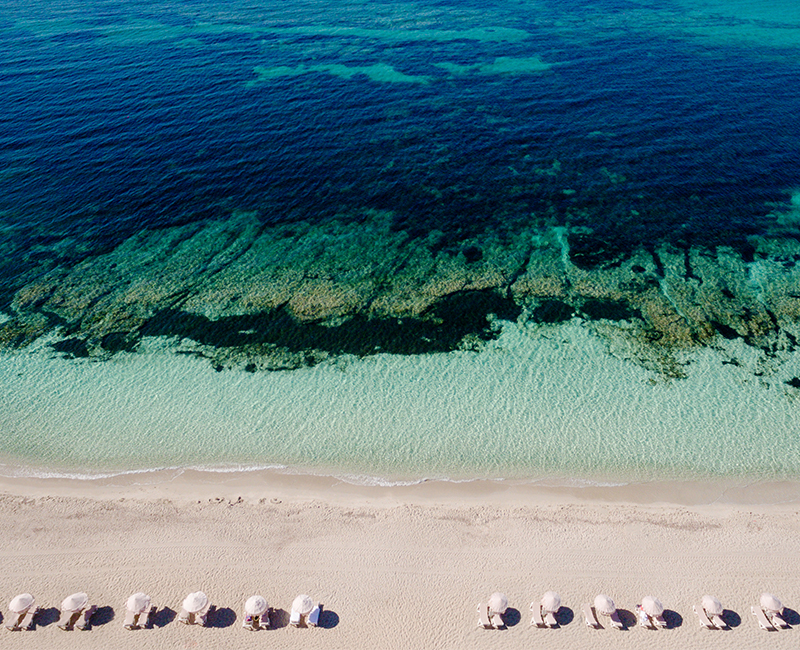 Formentera, a tiny Mediterranean island that is a mere half-hour ferry ride from Ibiza, is an idyllic destination. 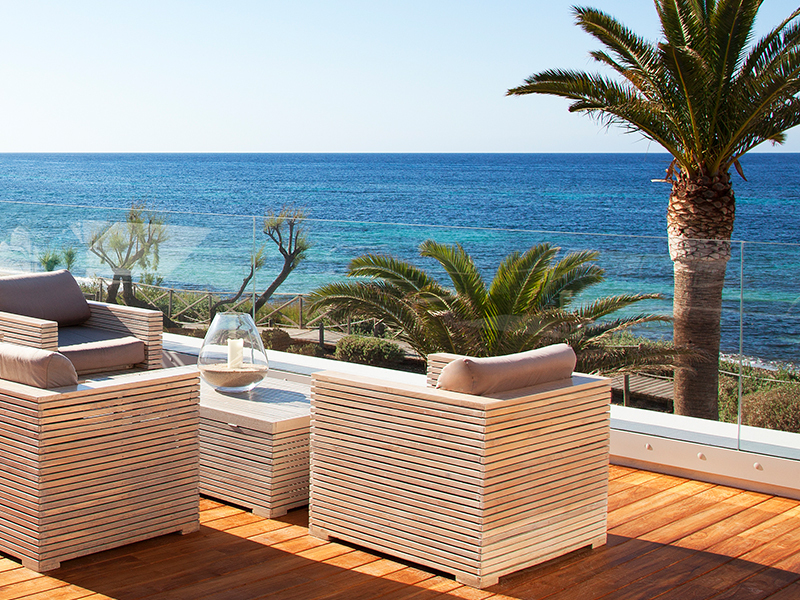 Many consider September and October its finest months; when the crowds have dispersed, allowing you to take full advantage of the Balearic island’s unspoiled beauty and laidback pace. 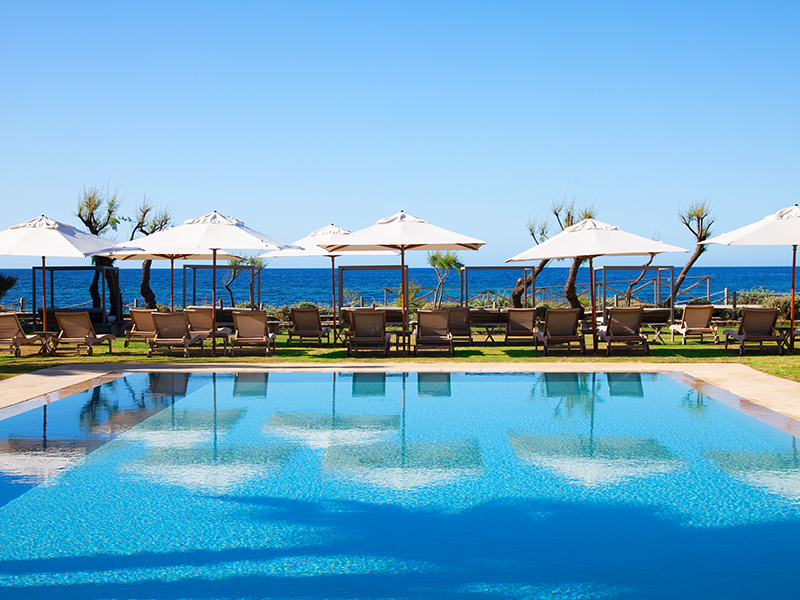 This 30-room beachfront property on Platja de Migjorn reopened in spring this year after an extensive refurbishment that introduced a subtle retro glamor, with mirrored corridors and midcentury-style armchairs, sofas, and light fittings. 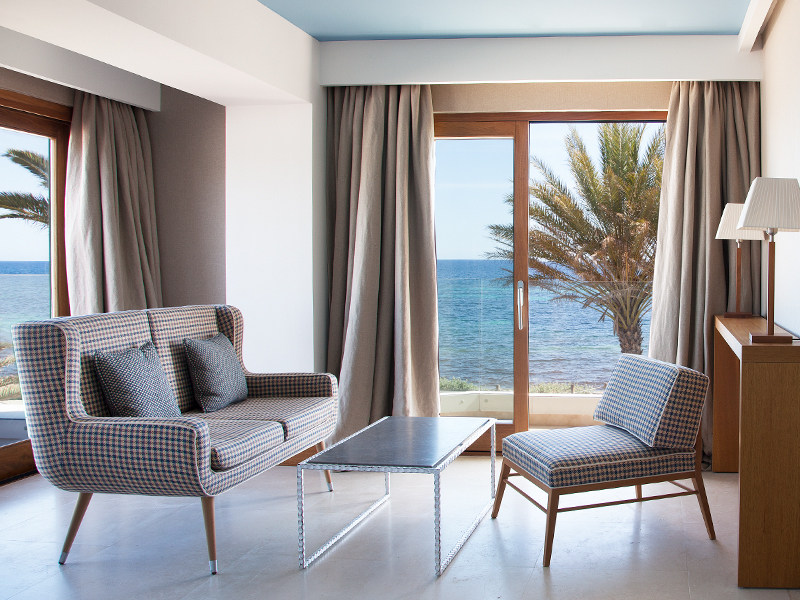 Blues are used throughout the airy hotel, from walls to upholstery to tableware, reflecting the extensive views of cerulean sea and sky. Yoga is a highlight at the Gecko, with morning classes in the gardens beside the sea. 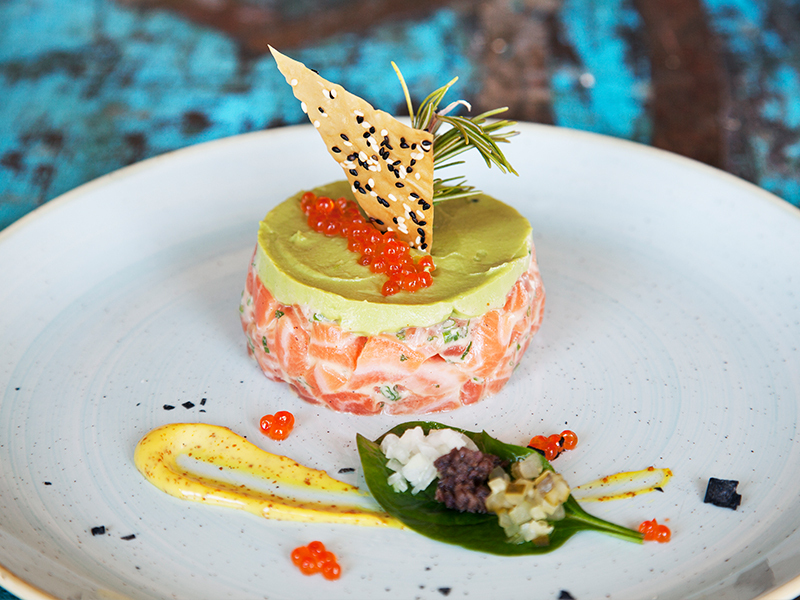 This Formentera institution serves delicious fresh fish and seafood dishes on Platja de ses Illetes—a beautiful beach located in the north of the island. A table under one of the white parasols on the sand at lunchtime is a perfect spot for people watching. Local jeweler, Enric Majoral’s showroom and workshop sit on a hilltop in La Mola. It’s a lovely location to discover his timeless gold and silver pieces, inspired by nature. The salt pans in the south of Formentera are a beautiful sight, particularly at sunset when the shallow salt pools are varying shades of pink. This natural reserve is also an UNESCO World Heritage site that is home to an endangered mineral rich seagrass called Posidonia. The marine plant grows on the seabed, filtering the crystal clear waters that feed the shallow lagoons.